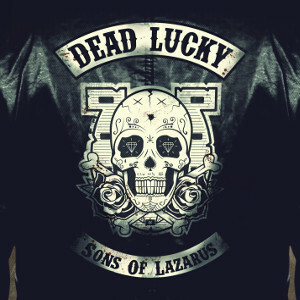 Heavy Rock 'n' Roll band DEAD LUCKY has just released their debut album "Sons Of Lazarus" on March 13th through Dr. Music Records. “Sons Of Lazarus“ was produced by Brendyn Rossouw and Theo Crous (Prime Circle, Parlotones, Karen Zoid) at the Heritage Sound and Bellville Studios, and mastered by Reuben Cohen (Rob Zombie, Incubus, Bruno Mars) at Lurssen Mastering in Los Angeles. 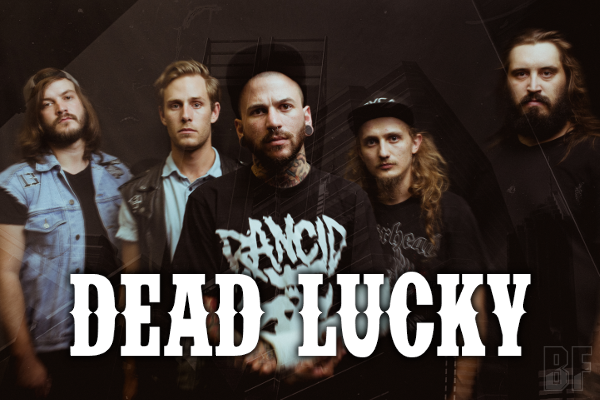 Even though this newcomer act was formed in 2011 in Kapstadt (Cape Town), South Africa, DEAD LUCKY already has a whole lot of impressing performances at the most famous South African festivals to show. Here they fired up for bands like Bring Me The Horizon, Rise Against, Wolfmother, Rival Sons, Trivium as well as Killswitch Engage at The Synergy Live, RAMfest or The Legendary Oppikoppi and hit the road with Billy Talent as their tour support. Fans of bands like Motörhead, Danzig or the legendary Misfits should definitely give “Sons Of Lazarus“ a listen!